Pull Tight Tamper Evident Security Seals are very versatile, and suitable for a wide range of applications. Products supplies an extensive range of tamper evident pull tight seals, available in a wide variety of lengths, to suit most applications. Some designs have the option of a tear-off, this allows the seal to be removed by hand without the need for cutting tools. Pull tight security seals are available as single piece mouldings, which achieve good levels of security, or can incorporate special inserted locking jaws which achieve a higher level of security. 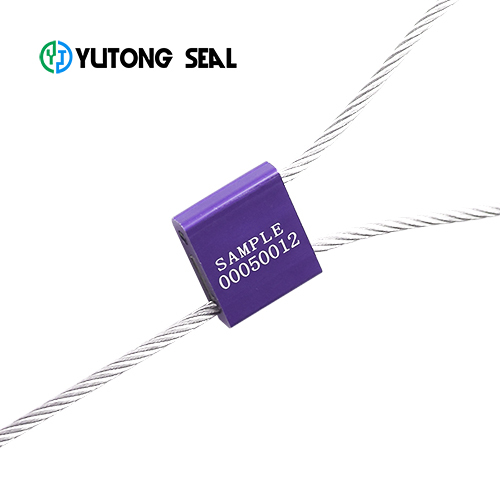 Some Pull tight seals have smooth tails making them more user-friendly, especially when applying large numbers of seals. Other seals have a large tag to accept more information such as large bar coded labels, serial numbers, logo etc. Whatever your application we are sure we will have a suitable seal. Pull tight security seals offer a tamper evident solution for sealing truck trailers, containers, and various other cargo holds. Excellent for fire extinguisher security seals, garment plastic seals, gas tank seals, pull tight money bag seals and any self-locking seal use. Made of polyethylene these security plastic seals have a breaking strength of up to 8 lbs. and come pre-printed with 6 digit sequential numbers. To use simply thread the end of the seal through the closure and into the area marked "enter" at the end of the seal and pull tight.